In the 21st century, if we’re not doing everything in our power to keep our skin from sagging, are we really taking good care of our it? It’s obvious what the benefits of tight skin are. After all, we all want to feel and look young again. So we don’t mind buying expensive creams, serums, and oils. These can help us get a youthful look without puffiness, redness, and wrinkles — and who doesn’t love that? But there’s one problem — some products are difficult to rub in. Moreover, without a proper massage, just like the one we get in our favorite beauty parlor, the puffiness won’t go away. Luckily, we now have the jade stone — a true savior and an essential step in our skincare routine. The jade stone is actually a naturally cool crystal that has been used in China for centuries. In the beginning, the royalty, as well as those who belong to the high society used it to prevent their skin from sagging or drooping. Just one look at a Chinese woman’s skin and we are immediately converted. Moreover, the jade stone has been proven to work by modern-day women as well. In fact, it has become a popular tool all over the world. 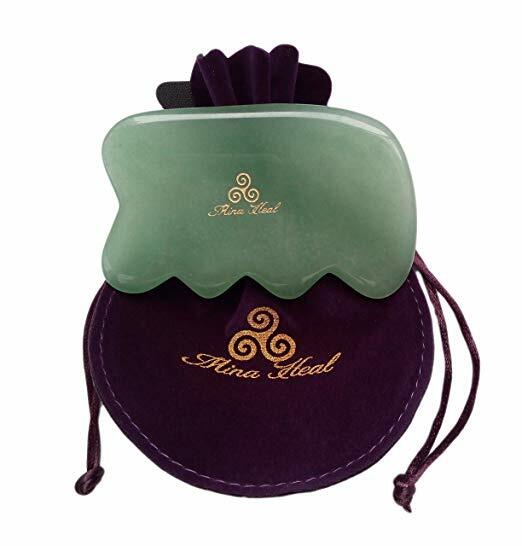 Jade stone massage tools usually come in the form of rollers, which we can use to massage our face and neck by applying little or no pressure at all. Most often, they come with a small and a big roller. We can use the small one for the tiniest features of our face, like our nose and lips. Meanwhile, the bigger one is perfect for our forehead, cheeks, and neck. The whole purpose of using the jade stone is to give our face and neck a deep, well-deserved massage and lift. However, in order for us to do so, we need to follow certain steps. The first step is to wash our face with our favorite cleanser and apply either oil, mist, or a serum. We recommend using oils, as they will let the jade stone gently roll over our skin without tugging it. The next step is to pick a side of our face to start on. After placing the roller somewhere in the middle of our forehead, we can start rolling. We should always roll outward, never downward. If we roll the jade stone downward, we won’t get the desired effect. By moving the roller outward, we will essentially be moving the lymphatic fluid that gives us that puffy face every morning. That fluid will go to one of the two nearby drainage points, depending on where we’re rolling the jade stone — the collarbone or the ears. After rolling the jade stone across our entire face (even nose, lips, and chin), we can move onto the neck. Again, we should roll the jade stone outward, never backward or downward. And that’s it. Once we’re done, and the serum, oil, or mist have completely penetrated our skin, we can apply our moisturizer and clean the jade stone. 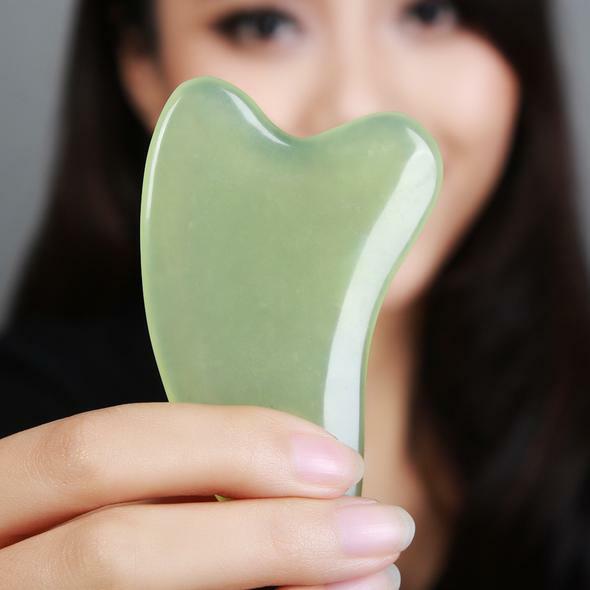 Apart from reducing swelling, the jade stone can also help with persistent redness and make our skin less splotchy. One of the best things about using a jade stone is the fact that we can ensure our skin absorbs all those serums and creams. Sometimes, it feels as if everything we put on our skin simply stays there. 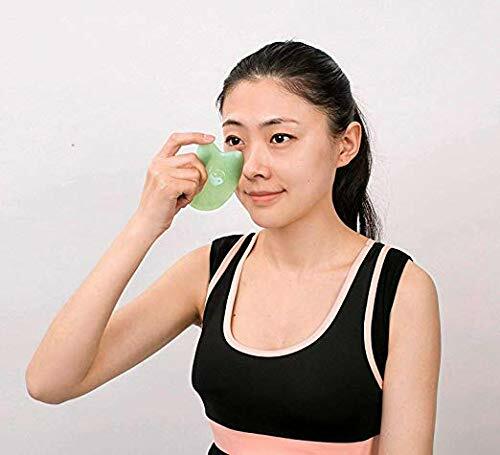 Thus, instead of waiting for minutes for something to absorb, we can just roll the jade stone, give ourselves a massage, and make sure the cosmetics have penetrated our skin. Finally, if we massage our face and neck with jade stone on a regular basis, we can hope for fewer lines and wrinkles. Because we’ll be moving the stone upward, we’ll be naturally lifting our skin and helping it stay supple and soft. Moreover, the massaging will improve circulation, which leads to plump skin and firmness. Previous How Olive Oil Benefits Your Skin? Cheers, I appreciate it! I seriously love your site..
Great colors & theme. Did you build this amazing site yourself?